in-ear monitors and over-ear headphones. The premiere headphone maker is debuting five premium audio products in the U.S.- four in-ear monitors and one over-ear headphones-with more products planned. 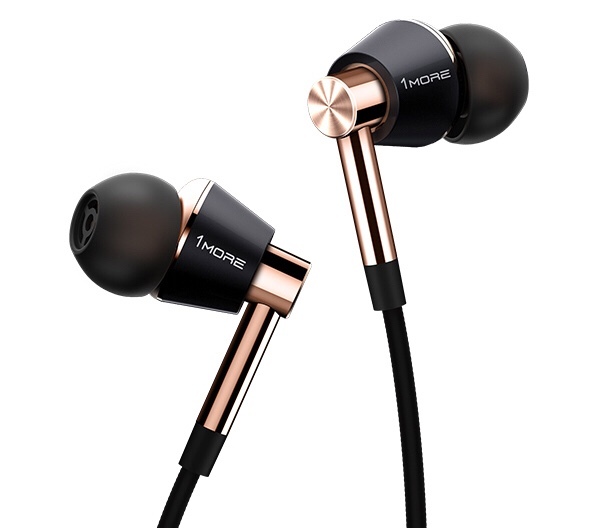 1MORE China sold 20 million units in just three years, 1MORE USA aims to duplicate their overseas success here in the U.S.
1MORE USA aims to focus on fashionable, high-quality, high value headphones and audio products. sound at extraordinary prices while producing a product that is as much form as it is function. With products like their brand new triple-driver in-ear monitors, 1MORE USA strives to make reference quality audio products that are available to everyone. 1MORE USA products are designed to enrich your music listening experience and your life, so get ready to be passionate about your portable music once again! USA is relentlessly designing and developing core components, coordinating efficiently with our production lines, and always pursuing the best-in-class quality. Kindle and iPod. Disillusioned with low-value contract manufacturing, Hsieh wanted to develop a unique brand that would dispel the belief that products made-in-China couldn’t be of both excellent quality and value. From this idea of 1MORE USA was born. This entry was posted in Uncategorized and tagged 1More, 1MORE USA, 360 Magazine, brand, consumer, culture, customer, Dave Russel, ear buds, fashion, fitness, Global Society, gym, Hannah Audrey Lowe, headphones, hip hop, lifestyle, listening, Luca Bignardi, Max Mason, music, pop, producer, recording artist, retail, singer, songwriter, studio, style, Tim Burton, Vaughn Lowery on June 1, 2018 by wp360mag.